City, CBD, Civic, Civic Centre, Canberra City – we use many names to describe our beautiful city. Our CBD is small in comparison to other Australian capitals, and it retains a relatively low-lying skyline. With its wide avenues, relatively light traffic and pops of green space, it really is a great city to live in. 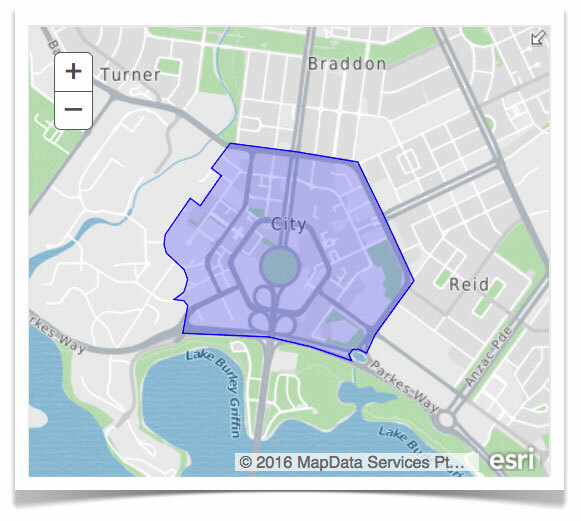 Our city is bordered by: Braddon, Acton, Reid, and the lake. In the early plans of the territory drawn up by Walter Burley Griffin in 1911, this part of Canberra was to be called the “Civic Centre”. Griffin envisaged it to be the commercial and cultural hub of the nation’s capital. However, the name was not officially recognised. When it was time to gazette the name, then Prime Minister Stanley Bruce refused to use the name “Civic Centre” when the precinct was opened in December 1927. The Prime Minister’s objections were said to have stemmed from the American origins of the intended name. American cities refer to their central business district, a community, or a major shopping centre as the “civic centre”. So on September 20, 1928 the area was gazetted and was officially named City. But the name Civic seems to have stuck in our memory and is still being used by Canberrans even today. 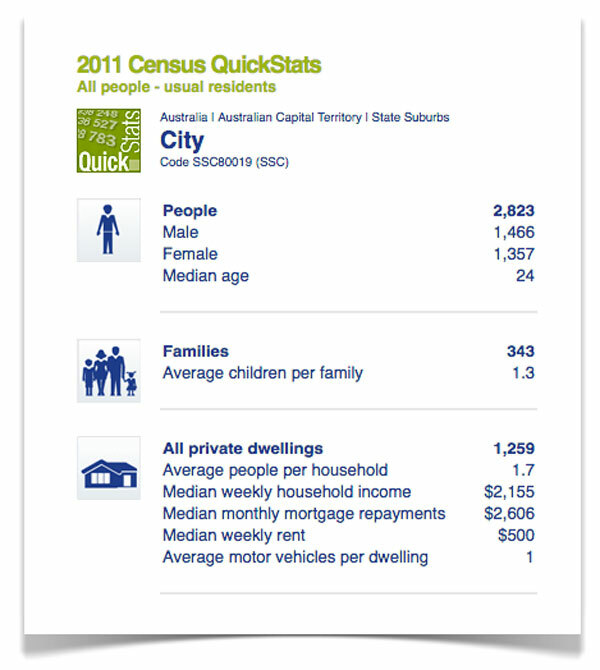 Census 2011 listed the City as having 2,823 residents. The suburb has a young population, with median age of 24. Of people aged 15 years and over, 19.0% were married and 75% were single. Of the families in City, around 11 % were couple families with children, 81.9% were couple families without children and 5.3% were one parent families. Of those working in the City, around 19% worked in Central Government Administration. Other major industries of employment included cafes, restaurants and takeaways, defence, and tertiary education. The Sydney and Melbourne Buildings are the iconic heart of Canberra City. Dating from 1926, but not completed until 1946, they are landmark buildings which ave defined the character of Canberra City from the beginning. Even today they continue to contribute to the beauty of the urban landscape despite many changes to the city around them. Canberra’s major shopping hub, the Canberra Centre, is located on Bunda Street. It has more than 300 retail shops, cinemas, and an al fresco dining and cafe strip. With cinemas, art galleries, Canberra Theatre, a swimming pool, and an abundance of retailers, the City provides all the benefits of a national capital- without the traffic! The Corinna Dental Group practice closest to the City is located at Brindabella Business Park, just past the airport, around 8 kilometres via Morshead Drive.